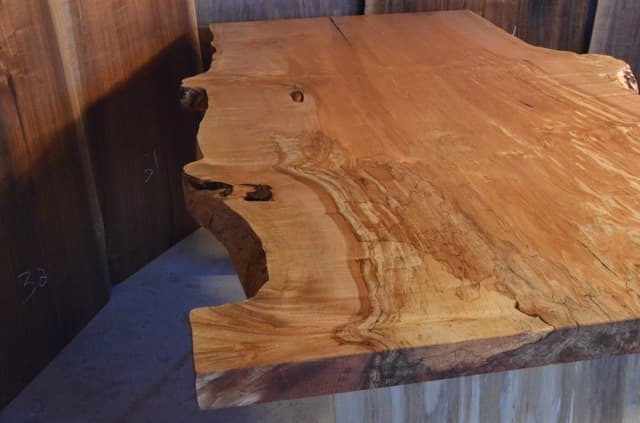 one of a kind table top cut from a huge tree in Tillamook, Oregon. 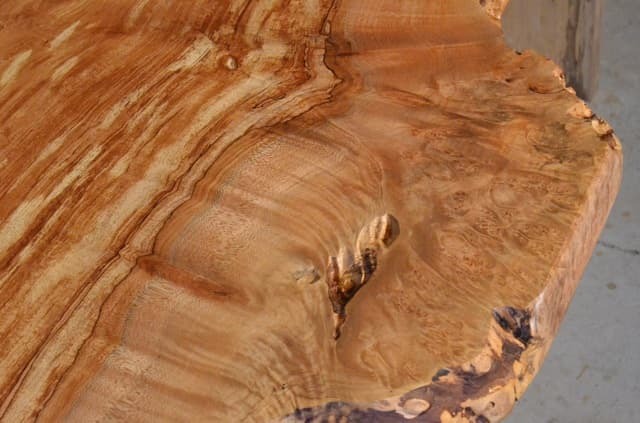 This tree was saved from being sent to the chipping mill. 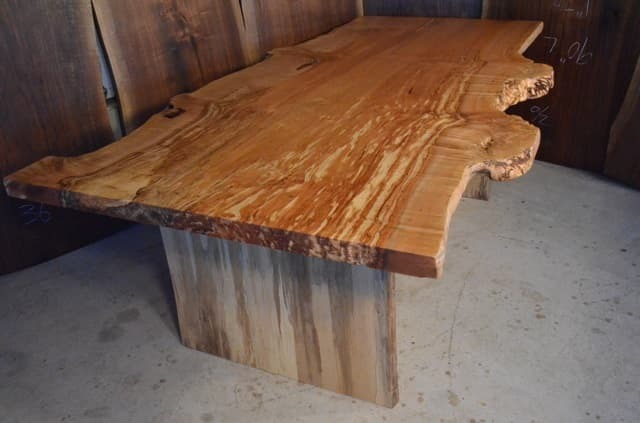 Sitting in a high moisture area gave the beautiful grain it’s black lines that only comes from the combination of wood and water. 7’3’L. x 2 1/8″ Th. x (47″, 50″, 48″, 37″) W.
Place your order today, only one available with these exact dimensions. Each top is unique.